This section describes how non-Hadoop and Hadoop users can access logs. In Terminal, enter cd /tmp/h2o-<UserName>/h2ologs (where <UserName> is your computer user name), then enter ls -l to view a list of the log files. <LogLevelName> is the name of the log level (trace, debug, info, warn, error, or fatal). 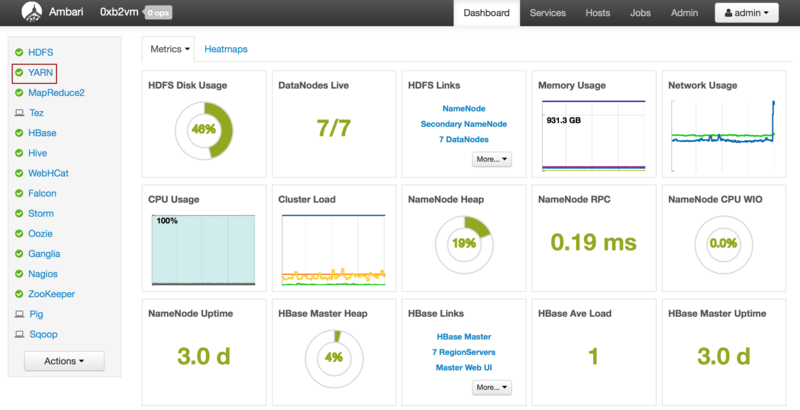 Go to the H2O web UI and select Admin > Inspect Log or go to http://localhost:54321/LogView.html. To download the logs, click the Download Logs button. Copy the displayed file path. In Terminal, enter less and paste the file path. Press Enter. A time-stamped log of all REST API transactions displays. In R, enter the command h2o.downloadAllLogs(filename = "logs.zip"), where filename is the specified filename for the logs. Note that you must include the .zip extension. In Python, enter the command h2o.download_all_logs(dirname='./your_directory_name/', filename = 'autoh2o_log.zip'), where autoh2o_log.zip will download to a folder that is one down from where you are currently working into a directory called your_directory_name. Please note that your_directory_name should be replaced with the name of a directory that you’ve created and that already exists. Depending on whether you are using Hadoop with H2O and whether the job is currently running, there are different ways of obtaining the logs for H2O. Copy and email the logs to support@h2o.ai or submit them to h2ostream@googlegroups.com with a brief description of your Hadoop environment, including the Hadoop distribution and version. In the above example, the command is specified in the next to last line (For YARN users, logs command is...). The command is unique for each instance. In Terminal, enter yarn logs -applicationId application_<UniqueID> to view the logs (where <UniqueID> is the number specified in the next to last line of the output that displayed when you created the cluster). Use YARN to obtain the stdout and stderr logs that are used for troubleshooting. To learn how to access YARN based on management software, version, and job status, see Accessing YARN. Click the Applications link to view all jobs, then click the History link for the job. Copy the information that displays and send it in an email to support@h2o.ai. Click the Applications link to view all jobs, then click the ApplicationMaster link for the job. Select the job from the list of active jobs. Send the contents of the displayed files to support@h2o.ai. Go to the H2O web UI and select Admin > View Log. To filter the results select a node or log file type from the drop-down menus. To download the logs, click the Download Logs button. In Terminal, enter cd /tmp/h2o-<UserName>/h2ologs (where <UserName> is your computer user name), then enter ls -l to view a list of the log files. The httpd log contains the request/response status of all REST API transactions. The rest of the logs use the format h2o_\<IPaddress>\_<Port>-<LogLevel>-<LogLevelName>.log, where <IPaddress> is the bind address of the H2O instance, <Port> is the port number, <LogLevel> is the numerical log level (1-6, with 6 as the highest severity level), and <LogLevelName> is the name of the log level (trace, debug, info, warn, error, or fatal). Download the logs using R. In R, enter the command h2o.downloadAllLogs(filename = "logs.zip") (where filename is the specified filename for the logs). Methods for accessing YARN vary depending on the default management software and version, as well as job status. 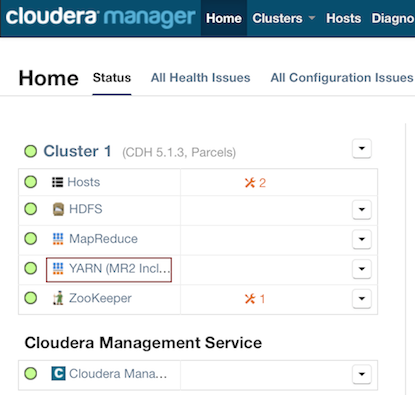 In Cloudera Manager, click the YARN link in the cluster section. In the Quick Links section, select ResourceManager Web UI if the job is running or select HistoryServer Web UI if the job is not running. From the Ambari Dashboard, select YARN. From the Quick Links drop-down menu, select ResourceManager UI.